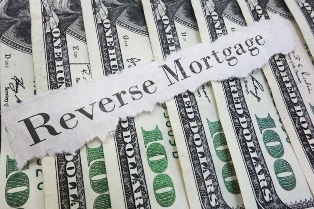 Will reverse mortgages become the new norm? Wade D. Pfau, a principal at McLean Asset Management, feels that reverse mortgages don’t deserve the bad press they’ve received, predicting that they will become more prevalent in the years to come. It was back in the summer that Illinois moved ahead with new legislation requiring a three-day “cooling-off period” from the time a lender makes a written commitment to make a reverse mortgage, in an effort to ensure that seniors completely understand what they are signing – citing complaints and confusion over how reverse mortgages work. Legislation that may not be needed, as Pfau sees the association of reverse mortgages with predatory lending practices and scams as unwarranted. “A lot has changed in the past several years, and the result is that reverse mortgages have an undeserved bad reputation” states Pfau. In fact, many companies specialising in reverse mortgages are ramping up their services and staff to meet consumer demand, like Reverse Mortgage Funding (RMF), which added a regional account manager – Michael J. Wyrostek – for its Midwest region in support of its third-party origination (TPO) sales channel – and to help educate consumers on the value of the product.